Letting a teen get behind the wheel of an automobile can be a scary experience for many parents. In the media, people today are constantly bombarded with news of deaths caused by teens who were behind the wheel. However, at some point all parents will need to let their children start driving no matter the existing worries. To overcome the fears of parents regarding teen driving, this article will provide some suggestions for helping parents let go. Most parents reading an article about alleviating their fears are doing everything they can to ensure that their teen is safe behind the wheel. Many teen drivers today are starting out with very little training on how to properly operate a car. As a result, these are generally the teens that will eventually end up in accidents. In contrast, children who are carefully instructed through formal training and caring parents will be much more likely to be safe. It takes time, but make sure they know all the basics about car care and driving, before hitting the road. Like most activities in life, driving is a skill learned over time. Parents shouldn’t necessarily be afraid of letting their child drive because younger children have an easier time overcoming learning curves. Don’t wait until their sixteenth birthday to get out on the road. Start when they are in their early teens and when they have questions as kids, be sure to answer them if you can. The earlier they start to learn about driving, the more prepared they’ll feel out on the road. Even just a decade ago, cars were much more dangerous than they are today. Parents who are worried about their teens getting hurt on the road can consider investing in one of the many vehicles available today that come loaded with a wide range of safety features. Side airbags, rollover detection, lane assist, and many other features are making cars much safer for inexperienced drivers. According to a Nova Scotia auto insurance provider, Eisenhauer Insurance Inc, these safety features have saved many lives over the past decade. These days, the younger generations are constantly plugged in with their electronic devices and mobile phones. If an accident happens, emergency calls can be made much easier than they could in the past. Additionally, many of the other passengers on the road are carrying a cell phone and will likely call first responders if they notice an accident while on the road. 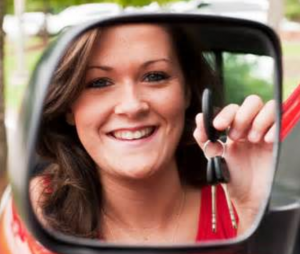 By understanding the items listed above, and preparing their teens right, parents can look forward to letting their teen finally get behind the wheel. Use the time you have now to get them started on the right track.